2019 is shaping up to be a great year! Below is a summary of what Anne will be up to in the spring semester. Anne subs with the Louisville Orchestra January 17-19th. 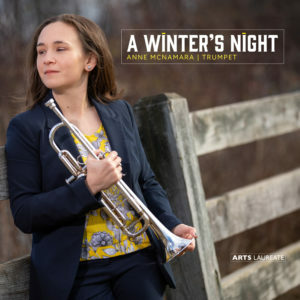 Anne will perform at the Ball State Trumpet Day on Saturday February 2nd. Anne will perform with the Louisville Master Chorale on Sunday March 17th. 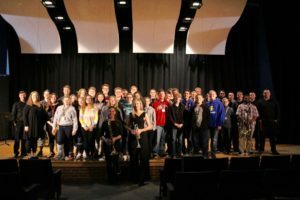 CU will host their 2nd Annual CU Brass Day on Saturday March 30th featuring In Motus Tuba Euphonium Quartet and Dr. Rachel Hockenberry, Horn. Anne subs with the Louisville Orchestra April 11th, 12th and 14th. She will also perform with the Louisville Master Chorale on Sunday April 28th. Anne will be giving a fall faculty recital at Campbellsville University on Monday October 1, 2018 at 8 pm. The recital will include works by Tartini, McKee, Plog, Arutunian and Ewazen. 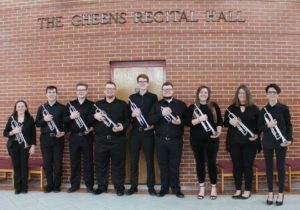 The CU Trumpet Ensemble will be giving their fall recital on Thursday November 1, 2018 at 8 pm. 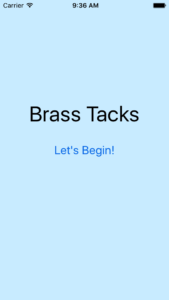 CU’s 2nd Annual Brass Day will be held on Saturday March 30, 2019. This year’s guest artists will be horn player Dr. Rachel Hockenberry and the In Motus tuba euphonium quartet! At Anne’s I.T.G. 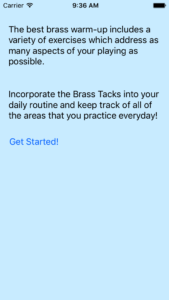 2018 conference warm-up class, she mentioned that she is developing a practicing app called “Brass Tacks.” Stay tuned! Today Anne presented a warm-up session, “Keeping Your Warm-Up Fresh with SAFARE” at the International Trumpet Guild Conference in San Antonio, TX. To download a copy of her warm-up packet, click here: SAFARE Handout. Another semester has come to a close and it has been a busy one! 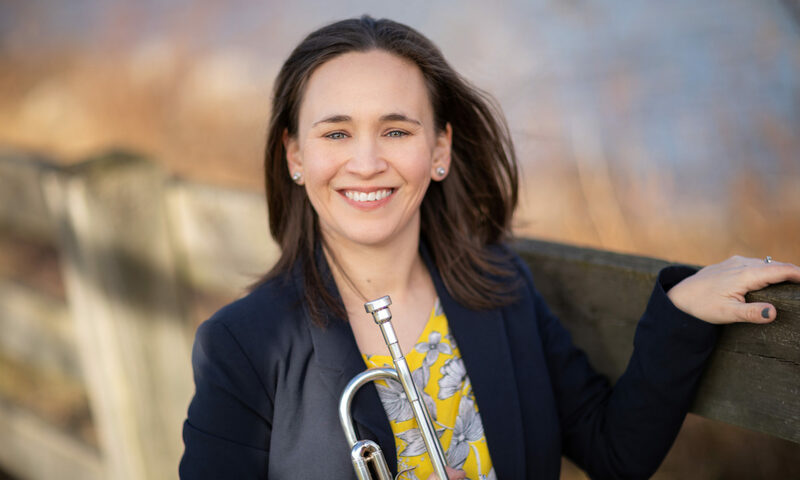 Anne performed a faculty recital in February, performed the Ewazen Concerto with the CU orchestra in March, hosted the inaugural CU Brass Day in April and will head to the ITG conference later this month. 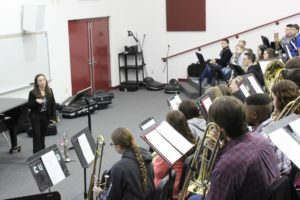 Campbellsville University will host a Brass and Percussion Festival on Saturday April 7, 2018 from 9 am-4 pm. The featured Brass Guest Artists are Mary Bowden and Donna Parkes of the Seraph Brass Quintet. The day will include a warm-up class, high and low brass masterclasses, a CU Brass Recital and a recital featuring Mary Bowden and Donna Parkes. 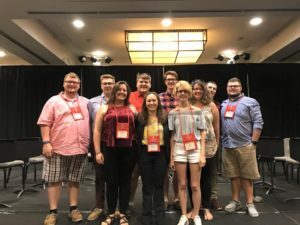 Interested high school students should email Dr. McNamara (akmcnamara@campbellsville.edu) to register to perform in a brass ensemble on the special guest artist recital. The registration fee of $5 includes access to all of the day’s events and entry in drawings for door prizes. The event is open to the public! September and October involved a lot of exciting events! On September 23rd Anne performed with the Orchestra Kentucky on their John Denver concert and on October 8th she performed with the Louisville Master Chorale. On October 30th at 7:30 pm Anne will conduct the Campbellsville University Trumpet Ensemble on their fall concert featuring the music of Jason Dovel and Kevin McKee!